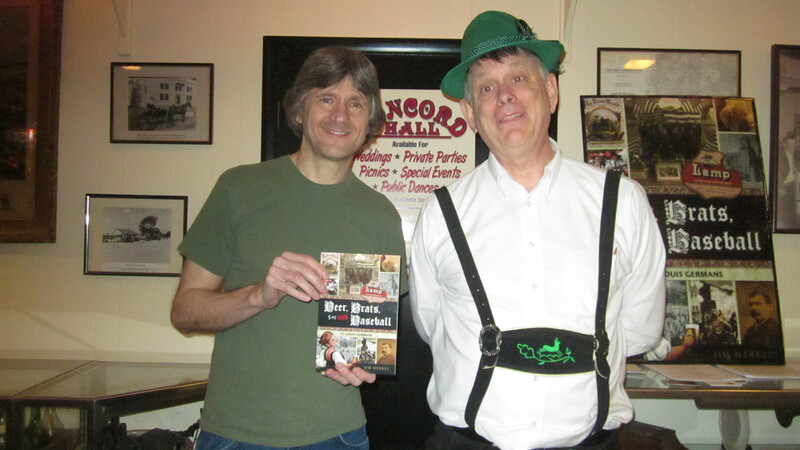 That’s Herb Trost of South County with the book and me wearing the lederhosen on Saturday, Nov. 17 at the Saturday night’s Autumn Fest Dance at the Concord Farmer’s Hall. He was one of those I signed books for at the dance. Earlier, I signed books at Grove Furnishings, 3169 Morgan Ford Road. Watch this space for more signings.